Earlier this year, Airtel launched its own 4G LTE network in Nigeria. The network was initially made available in only a few cities in Nigeria which includes Lagos, Ibadan and Abuja. Now Airtel has managed to expand its 4G LTE connectivity to more parts of the country. The Airtel LTE network has now been rolled out to more cities in Nigeria. It is now available in Anambra in cities like Onitsha, Nnewi, and Awka. It has also been rolled out to some major cities in Delta state which includes Warri, Effurun, Asaba, Kwale, Ughelli, Sapele, Okpanam, and Agbor. 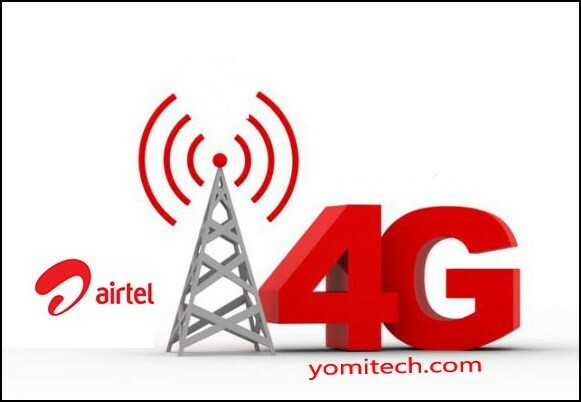 Airtel uses a very popular 4G LTE band which is the band 3, this means that the Airtel 4G SIM will work on most 4G enabled smartphone as long as you are using a 4G airtel SIM in an area with the 4G LTE connectivity. ** You need a 4G enabled SIM: You can get a 4G enabled Airtel SIM card at any Airtel experience center or outlet. There is no need getting a new number as you can swap your old 3G SIM for a 4G sim card and still retain your old number (just go along with a means of identification e.g National ID card, Permanent Voters Card etc). ** You need a 4G enabled Smartphone: Airtel uses the band 3 (1800mHz), which means your smartphone must be 4G enabled and also support Band 3 (1800mHz). ** 4G LTE connectivity: Even if you have a 4G Airtel SIM card and a 4G enabled smartphone, the 4G network still won't come up unless you are in an area with Airtel 4G conectivity. Note: Airtel is still giving out free 4G data when you swap your 3G SIM for a 4G SIM card, so hurry now and grab yours while the offer is still on.